The Sustainable Agriculture Standard is credible and effective. Our processes and mechanisms for implementing the standard are appropriate and effective. 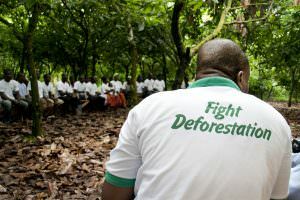 The Rainforest Alliance engages with stakeholders during the standard-setting process and beyond—interacting in a variety of ways, including through one-on-one meetings, workshops, webinars, online consultation platforms, and technical fora, as well as via partnerships established through collaborative projects. We are committed to an ongoing dialogue so that we may better understand stakeholders’ needs, expectations, and experiences; respond effectively to their concerns; and use their feedback as a tool for continual improvement of the Standard and the manner in which it is implemented. We firmly believe that Rainforest Alliance certification has a vital role to play in helping the agriculture sector advance toward sustainability but we also recognize that, like all systems, it has its limitations. We continue to explore other avenues and approaches that can help us reach our goal of a sustainable future for people and the planet. For example, the Rainforest Alliance is an active member of the Global Living Wage Coalition, along with other organizations and standards systems such as Fair Trade International, the Forest Stewardship Council, Goodweave, and Social Accountability International, that are working to establish common living wage benchmarks for countries around the world. The Rainforest Alliance Sustainable Agriculture Standard is developed through a long and detailed process that involves many different stakeholders. It is updated every five years at minimum, following several rounds of public consultations to solicit the input of farmers, worker organizations, retailers, NGOs, academic bodies, auditors, unions, governments, and consumers. To ensure that the Sustainable Agriculture Standard is of high quality and maintains its credibility, its development complies with the ISEAL Alliance’s Standard-Setting Code, which codifies good practices for the setting of social and environmental standards. In September 2016, we completed the latest scheduled revision of our Standard. The documents supporting this process can be requested by emailing sas@ra.org.